Major kudos to the Wilmington Regional Film Commission and the politicians who believe that the film industry needs to remain strong now more than ever. For me personally, 90% of my friends either work directly in the film industry or are affected by it in a positive way. The restaurant owners, the store owners. And it trickles down to the people they hire. It was a wonderful thing to see and show my son how when people band together, they can do great things. Also, I wanted to personally thank the hundreds of people who turned out to show their support. 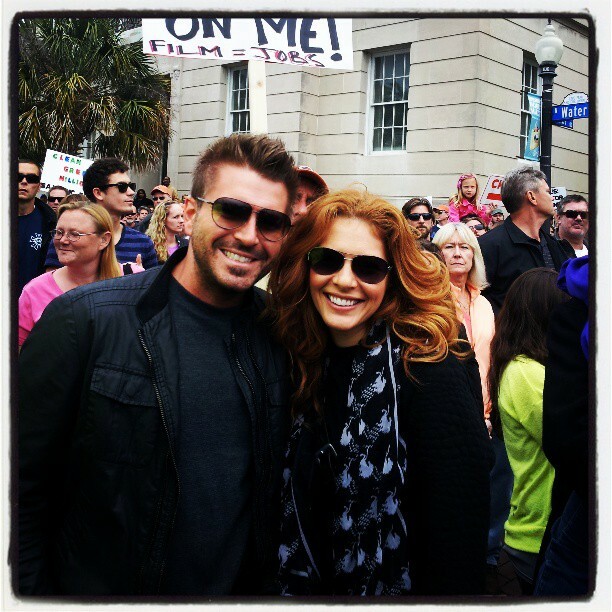 I caught up with Rachelle LeFevre who is currently cast in CBS’s Under The Dome. She and her handsome man joined our industry folks at the rally and I thanked her for being there. She smiled and said, “I absolutely had to come. We love filming here.” Well, we love having you here, you lovely lady! On a side note, she loves to hang out at many of the local restaurants including, Manna and Catch. She knows how important film is to our local economy. That just about does it. View more pictures from the rally here. Tomorrow, I go back to the airwaves with the live version of this blog with news of yet more films coming to the Port City. “What’s Up In Wilmywood” airs Monday-Friday 8:30am on Sunny 104.5. Left a message thanking Representative Tillis for backing the film industry. In June of this year I will have family and friend relocating to Wilmington for this very reason. They graduate college and their studies are film making so, this is where they want to make their mark. No doubt my nephew will be the next Coppola or Spielberg he is driven in his field. Let’s keep the business alive!!! Added revenue too as you have already stated…can’t wait. Thank you for supporting!! Awesome! Keep spreading the word! 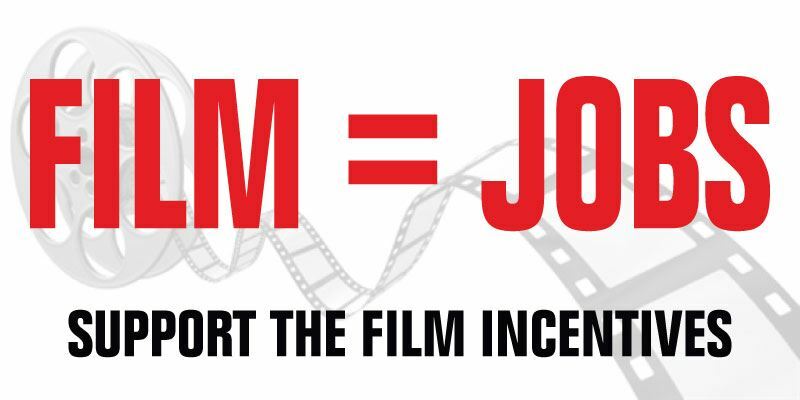 Thanks to the people or person that handed out the glow yellow sheet that allowed me to email and call Speaker Thom Tillis about his support for the film incentive in NC. It was easy and effective. Yes, agreed! Very glad as well!